Crap to match our Black & Silver TI's. From keyboards, monitors, trackballs and cartridges and even program recorders, many of us like to be 'color coordinated', whether it be blue, orange, beige or the original black and silver styling. 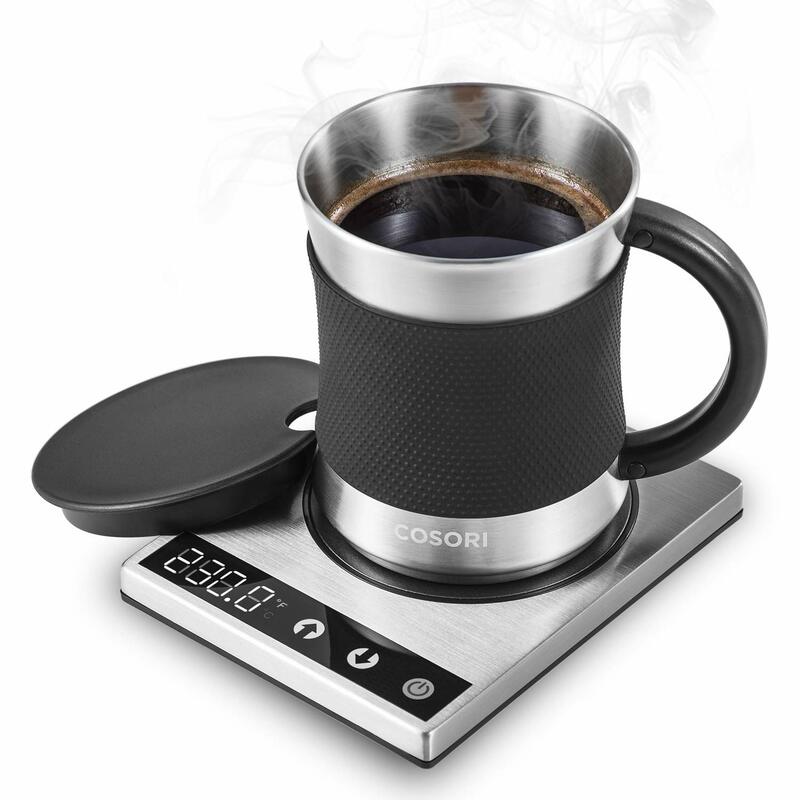 Well, I finally found a coffee cup warmer to match my TI, except I'm not ready to pony up fifty bucks for it. The same design esthetic I believe? Predates our computer by four years. I actually have a couple of those components around here somewhere. . .
the rubber bands at the side are to control the volume and to select the radio-channels / bands. The perfect accessory for our ti! Since HDMI carries the audio as well as video maybe when the F18A MK2 comes out I'll have to look for a black and silver flat screen TV for a good price. I have 15" TV that is suitable, but it's all black.